I remember you! How could I forget that face? How long has it been? Where did we last see each other? How could I forget your face? Finding and remembering the face of others in digital spaces and personal learning networks is a personal mission. As my digital house grows and more people enter in, I find myself wondering who’s left outside the door. Has someone not been included because they couldn’t access the digital rooms where I’m “hanging out”? Jean Vanier often comes to mind when I’m looking to find a human face in digital spaces (It’s Only Human). Vanier reminds me it’s about revealing the heart and head. Why should I worry or wonder about who’s left out? What can I do to make sure my digital constructs are accessible to others? What does an inclusive digital space look like, sound like, or feel like when those who enter the space may not be able to see, hear or feel it the same way. How can I humanize the digital spaces where I collaborate, engage and play with others when these others may experience the space with different abilities or come from different cultural contexts? Remembering the human face of those I meet in digital places (twitter, blogs, Facebook, etc) will help me to connect text and tweets to a fully human need to belong, to feel connected and to be a part of something that’s meaningful. Whenever I need a reminder of what is important, I return to the work of Jean Vanier. His voice, face, and presence on my computer screen speaks to me of forgiveness, belonging, and purpose. I find myself fully present to his message of inclusion and reflect on the importance of making digital spaces open and accessible for all. The World Wide Web Consortium (W3C) sets out standards for accessibility in the Web Accessibility Initiative. Part of this initiative is the User Agent Accessibility Guidelines. As I work with digital tools, I deepen my understanding about affordances and issues when the human side interacts with the web design and production side. As I extend my awareness of the W3C guidelines and my efforts to establish standards for accessibility, I can remember the face others in our collaborative digital places. Although much of what I read and review on the W3C site is beyond my control or my digital skills, knowing how to do small things that will make a difference is important in my efforts to make the web an accessible place for all. So what can I do that will make a difference? This question brings to mind one of my favourite stories while I worked with exceptional learners in the classroom. It’s the story of the starfish. Bit by byte I can do small things to make my digital creations accessible. If I remember there are human faces with a range of abilities accessing my digital work, I’ll remember to consistently follow through on small things to make my digital spaces a more welcoming place. It’s the human face of those in my digital learning network that keep me focused on making a difference and remembering to design spaces inclusively. What small actions can I do consistently (like in the starfish story) that will make a difference? For each digital space I can consistently review my work by using the W3C Easy Check guidelines. Simple things like not using an auto start on video or audio that I embed onto my course site or blog page. Another small thing is making sure close-captioning is included, that it accurately represents and is synched to video content, and that I include a transcript with my video productions. What else can I do? Using a web accessibility checking tools can help. There are suggestions of tools available through the W3C site. I’ve personally used WAVE to review how my course site needs improvements in accessibility. A more detailed report generator for those proficient in web accessibility guidelines is also available. Remembering to check the look and navigation of web spaces using various browsers can help me spot issues. Taking a look at what I have designed and created on a tablet or mobile device can also help me identify and correct issues in the production and publishing stage. Since my #oneword2016 is colour, I looked for connections between colour and accessibility. I wanted to find out how my colour choices impact the readability or feelings of inclusion of my digital creations. I discovered an accessibility colour wheel that shifts my thinking about how colours may improve the content and accessibility of my digital creations. The WebAim Web Accessibility site provides a simpler version of a colour contrast checker. Since I’ve been playing with colour hex codes, I can test these colour codes and the colour palettes I plan to use in my web productions. Checking the colours I use consistently, eg. my Twitter settings, can improve how other people may or may not be able to access the digital media I produce in this space. I’m becoming more aware of the cultural connections to colour. Even with these guidelines and best practices, it’s still up to me to build a sense of the person behind the ‘nom de plume’ or avatar image. Bringing my ‘self’ to electronic and web interactions creates a humanizing presence to digital spaces. While some individuals mask or shade their identities with unusual monikers and interesting avatars, as I develop a relationship, their personalities and attributes shine through. My own reluctance to share or reveal myself in digital spaces is something I consciously work to overcome. I need to remember that those with unique ‘abilities’ may also need some encouragement or patience to reveal their ’self’ before they feel a sense of belonging in digital spaces. It’s the small things I can do to look beyond the disembodied blog posts, text messages, or tweets and seek the human face of others in these digital spaces. Looking for the human characteristics and qualities of the people I meet will help me find their face in these ever shifting digital places. Doing small bytes to make sure my digital house is an inclusive and accessible space will continue to be a primary and consistent consideration. How do you make a difference and build inclusive and accessible digital spaces? Any comments are welcome. I’ll remember to look for your face the next time we meet! 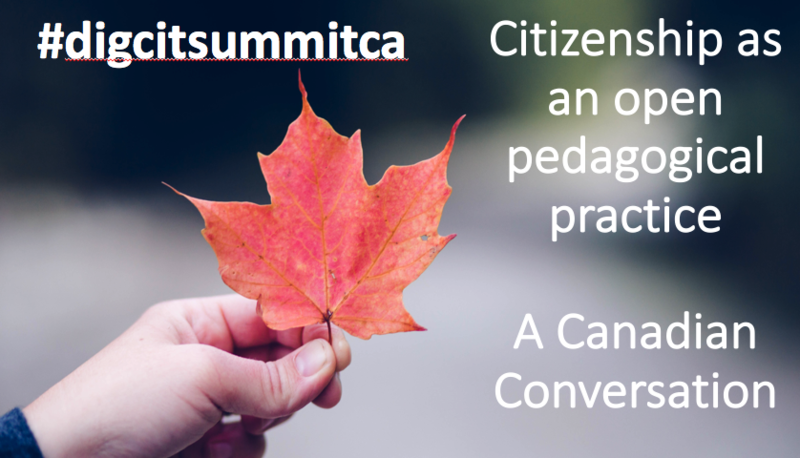 Quote | This entry was posted in HumanMOOC, Learning, Talking, Technology, Together and tagged @InclusiveLN, accessible, colour, design, face, HJ_DeWaard, human, inclusive, Jean Vanier, PLN, W3C. Bookmark the permalink. 3 Responses to I remember you! How could I forget that face? I really enjoyed how easy to read your blog post was. I found the links to be extremely helpful if I didn’t understand within the sentence that I could click on the link. To get more information I was able to read more into it via the embedded link to get a better understanding. This blog post is extremely relevant to today’s society and I find it particularly interesting because I am currently taking a course in exceptionalities in the classroom. Accessibility is something I didn’t think about when it comes to a blog, but is important as a future educator to think about. I was able to click on the accessibility colour wheel link, which gave me insight into thinking about my own blog that I am currently creating. Does my blog have an open door to allow everyone to walk in? Is it accessible to read? The colour wheel link is a great resource for bloggers to think of the impact of their colour choices for digital creations. We are trying to make learning accessible for all to continue to expand their education in every context, including in the digital world. I found on the American Foundation for the Blind website that it is better to reframe from having “click here” within a blog post. For people with visual impairments who are using a screen reader often skip that extra text. Do you have any other suggestions on how to create an accessible space for people who are visually impaired? Who knew there were so many aspects of a blog that need to be factored in when considering an inclusive community? When thinking of inclusive spaces for differently abled individuals, I have not always considered the inclusivity levels of different social media platforms and internet pages. From reading your blog post, I am now more aware of the different ways that bloggers can create a safe and inclusive space for it’s visitors. The embedded links in your post helped me to better understand what you were talking about when you introduced different accessibility alteration sites and tools. Being able to experiment with the colour wheel tool myself helped me to better understand the importance of having different options within our digital communities to make more accessible spaces for those that visit it. Thanks for your comments, Erica. Glad there were links and resources that you found helpful and increased your awareness of inclusivity and accessibility with social media and web design.